How to successfully navigate and prevent conflict From the publishers of the popular Strength Deployment Inventory, Have a Nice Conflict follows one man's fight to rescue his sinking career. Sales manager John Doyle would consider his career a success--he's his company's top revenue driver, and his take-charge attitude gets the job done. However, when he is passed over for promotion--again--after losing two direct reports, who cite his abrasive style as their reason for leaving, John is forced to reassess how he approaches his relationships. With the help of Mac, an expert in the art of Relationship Awareness Theory, John learns the three stages of conflict, and how he reacts in each. Once John recognizes his own values and trigger points, as well those of other people, he becomes able to better navigate terse situations, express his points in a way that resonates for other people, and even avoid conflict altogether. Equipped with this new understanding of how other people interpret and react to conflict, John soon finds all the relationships in his life--both at work and at home--improving. 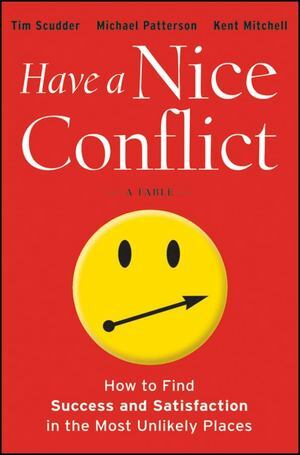 Reveals a practical understanding of how conflict really works Shows how to recognize its initial stages of conflict, how to navigate it better to diffuse a situation, and how to understand the values of the other person to better frame your point for them Provides guidance for moving beyond conflict to enhance relationships Includes a five-step framework (anticipate, prevent, identify, manage, and resolve) and tools for locating conflict triggers in ourselves and others Anyone can profit from the tools in this book to understand and take control over conflict.